Deborah died November 5, 2007 at the age of 56. Cause of Death: Auto Accident. She lived in Prosser, WA. Debbie is survied by her husband Dewey Tegland, Nine Children and Several Grandchildren. I had the good fortune to see Debbie (affectionately known as "Bubbie" by her closest friends) during the summer of 2006 while in Prosser, Washington, a small town where she had lived for many years. Coincidentally, Prosser was also my mother's hometown where I spent many summers as a child. Spontaneously, I called Bubbie. Though I hadn't seen her in perhaps 30 years, she was so much the same as I remembered - lively and fun, with a wonderful sense of humor. I had called her completely out-of-the-blue and immediately she said "where are you?" Within 15 minutes she was at my hotel where we had a long leisurely visit. She told me about her children and grandchildren, and her job teaching music at a local school. She had taken it upon herself to teach every child in the school to play the piano, read music, and appreciate the art. When reporting the tragic news of Debbie's death, the school superintendent said, "She didn't just teach music, she instituted a love for it, taught students how it was tied to math, poetry and art . . . She was an amazing, amazing, amazing teacher." I wasn't surprised to hear this. We had great fun together during our school days and a lot of it was centered around music. Bubbie was doing what she loved. I'm happy our paths crossed one more time. 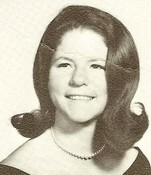 Debbie was one of my friends at Pacific High. She sat right behind me in one of my classes--it was French class. I am still friends with four people from the Pacific High School days. How do you define "friend"? Friend can be defined as follows: If the person will be willing to join you for coffee or beer, when asked.